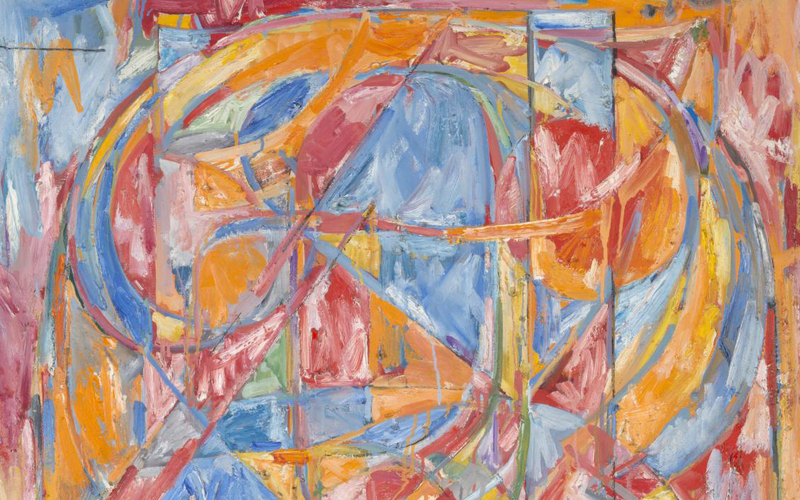 Jasper Johns 'Something Resembling Truth' exhibition at the Royal Academy. I have been aware of Jasper Johns ever since I saw his '0 through 9' painting many years ago at Tate Britain. It was the layering of letter forms that captured me as well as his use of colour and texture. Working with letters and numerals in my professional life I could really relate to this exploration of the form of the figures and how they relate to each other and how the layering technique can create an interesting visual image. The exhibition was a revelation for me as I had not seen so many pieces of his work in one gallery at the same time and the journey though each room was a delight. There were more drawings and paintings on the '0 through 9' subject as well as separate pieces where he explored numbers and letter forms each time layering and adding textures so each became a rich detailed piece in itself. It was great to see the galley visitors interact with these, looking closely and deeply into the letter forms. There where, of course, his iconic flag, targets, and maps images along with many other paintings, sculptures, drawings and prints. Particular favourites of mine were his “crosshatchings” inspired from the pattern he saw in a car as it passed and the pattern on the bed sheet on a work be Edvard Munch. Jasper Johns has always appealed to me as a there is such a strong 'graphic' quality in his work from his use of typography and letter forms to his simple bold use of rich colour and texture brought about by his encaustic technique of mixing pigment with wax and then layering it. Words with opposing colour and familiar objects re-sculptured disrupt the mind requiring us to question their meaning. He may come across as slightly 'commercial' and faddish to some born out of the abstract expressionism movement in the 50s and 60s but for me a kind of visual rhetoric within his work mixes art with modern popular culture and is a big hit. It was funny how later, while listening to Beethoven's 9th at the Royal Albert Hall (it was a very cultural day, not my usual Saturday) how that layering is synonymous with music and the layering of the different sounds and melodies of instrument, each with their own unique texture, and how they are all brought together to create something that can resonate with the listener or viewer.